The Wesleyan Academe, providing excellence in child care and education, is located at Plymouth Park United Methodist Church in Irving,Texas, on Highway 183 between MacArthur Blvd. and N. Story Road. The Wesleyan Academe Private Christian School serves the Dallas/Ft. Worth area of North Texas including the Midcities—Irving, Hurst, Bedford, Euless. 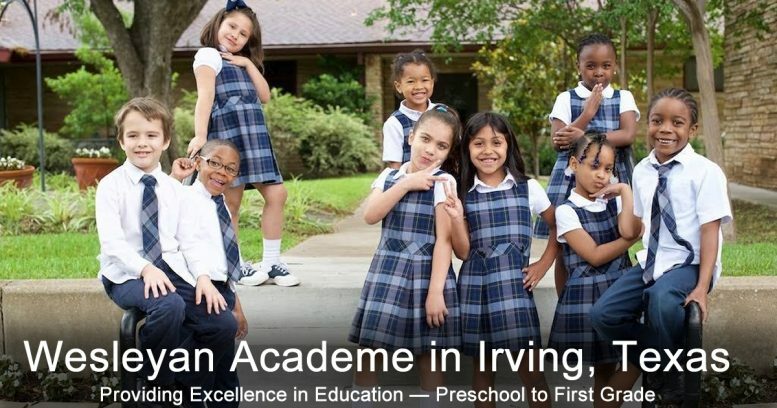 Located in the heart of the metroplex, the private school is easily accessible to the HEB area and beyond. The school provides excellent child care and education in a Christian environment.